Three artistic sisters and their best friend started a very successful mural/faux finishing business, Lilies of the Field Fine Interior Art and currently, Sparrow Art Studio (www.sparrowartstudio.com) . We have been sought after in the Valley of the Sun by top designers, businesses, and upscale home owners for the last 15 years. Our work has been featured in design showcases, dream home tours, several times on Channel 3 TV's Good Evening Arizona, and HGTV's "National Open House". 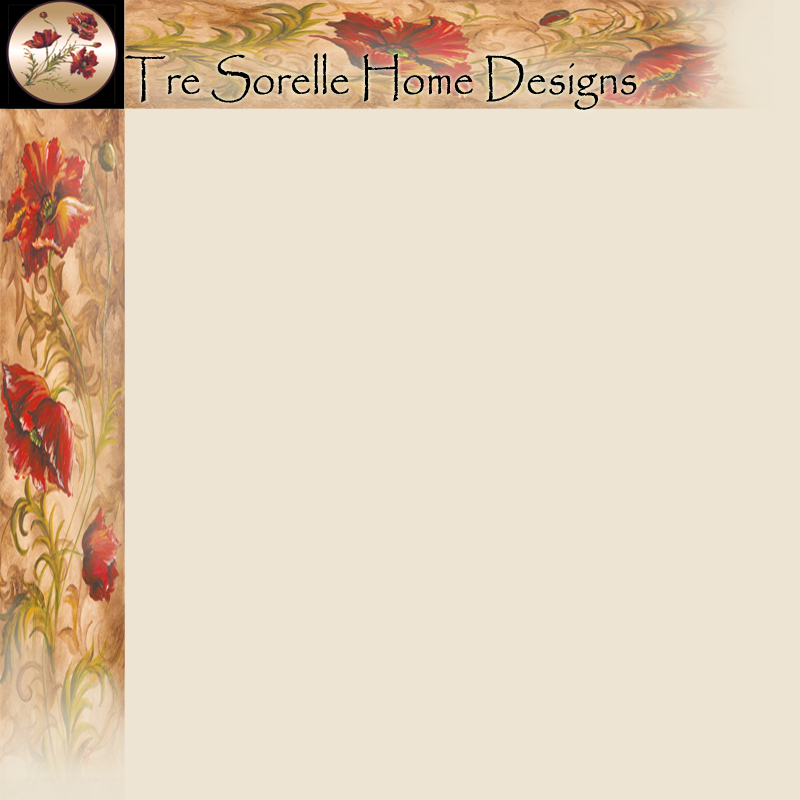 Tre Sorelle Studios was the next step in the evolution of our artistic family. We are excited to offer our original designs, many, hand-painted by the original artist and hand-crafted for consumers across the country. 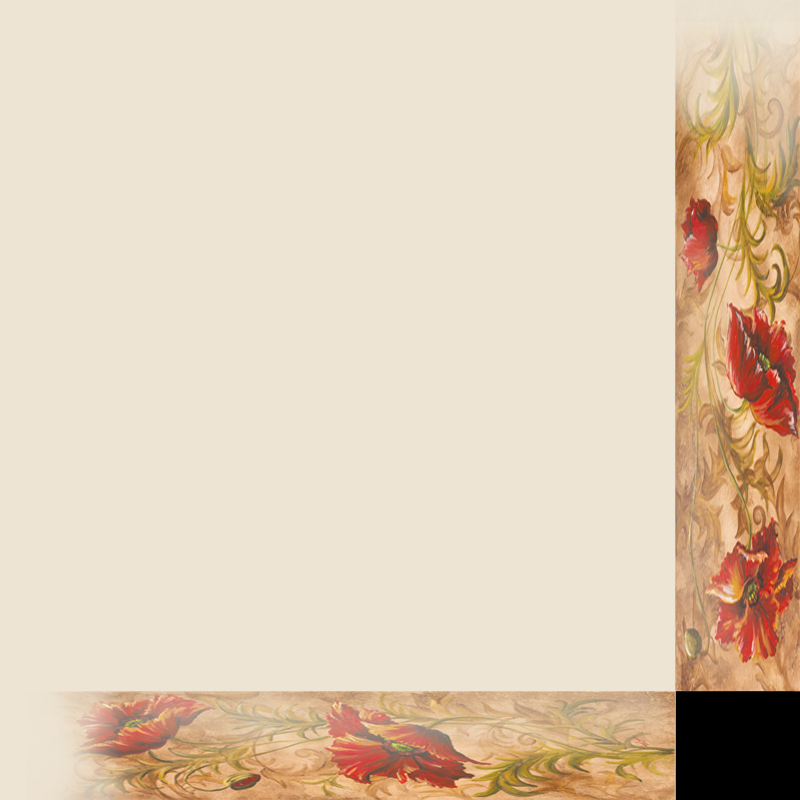 We specialize in beautiful hand-painted and printed stone tile murals, original art, high quality giclees, and licensed home decor products and tableware available nationwide. We offer both an online retail catalog to consumers and a wholesale catalog exclusively to the trade. And, as always, custom commissions are available upon request. Our designs have proven to be best sellers in numerous categories of the art licensing industry. Our designs are incorporated into housewares, kitchen decor, casual and ceramic tableware, framed artwork, bath accessories, and alternative wall decor; available in stores such as Pier 1, Hobby Lobby, Macy's, Dillards, Bed Bath and Beyond, JC Penny's, Kirklands, Costco, Wegmans, Fred Meyeres/Krogers, Steinmarts and many other fine stores around the country beginning in the Spring of 2007. Our current licensees include: Certified International (Ceramic Tableware), Bacova Guild(kitchenware, bathware, and textiles), Avanti (Kitchen and Bath Textiles), Grant Howard (Glassware), Prima Glassware, Conimar/CounterArt (Kitchen Accessories), Merritt International (Melamine tableware), Range Kleen (cooktop covers, and assorted kitchenwares), Roaring Brook Art, and several other major manufacturers. All 3 of us are active Moms of young children, and coming from a very close (HUGE) family, we are incredibly grateful to be able to work together, raise our children, and expand our creative, artistic talents side by side, creating art and designs that appeal to a wide audience. Our styles are similar, yet provide a wide and diverse range of genres that continually prove to be trend setting, and above the curve. We can truly say that only with the help and support of our whole family have we been able to achieve our successes. Check out our new Home and Garden Blog for ideas and advice on Gardening, Cooking, Home Trends, and the general musings of young artists, moms, and entrepreneurs trying to balance an art-filled, fulfilled, life! Leave comments and feedback for the three sisters.